Blog | DCarson Construction Inc. When you are considering purchasing a new home, and are in the budgeting process, it is important to consider the additional costs that come with purchasing new. In San Diego County, new homes typically do not come with landscaping or even fencing around your property. So, when you are calculating the total costs, be sure to factor in outdoor necessities as well as the customization of the inside. Congratulations on deciding to take the next step in remodeling your home! 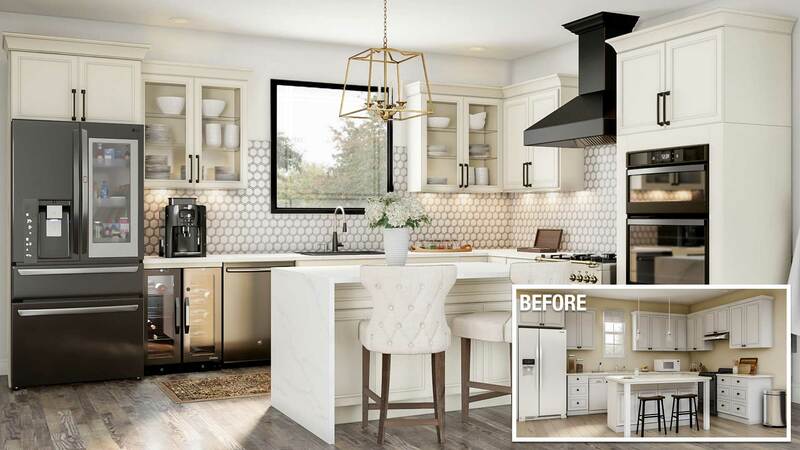 Whether you are updating technology, creating a more functional space, or simply want a new look, there are five key things you should know when preparing for a remodel. What is considered low maintenance landscaping? 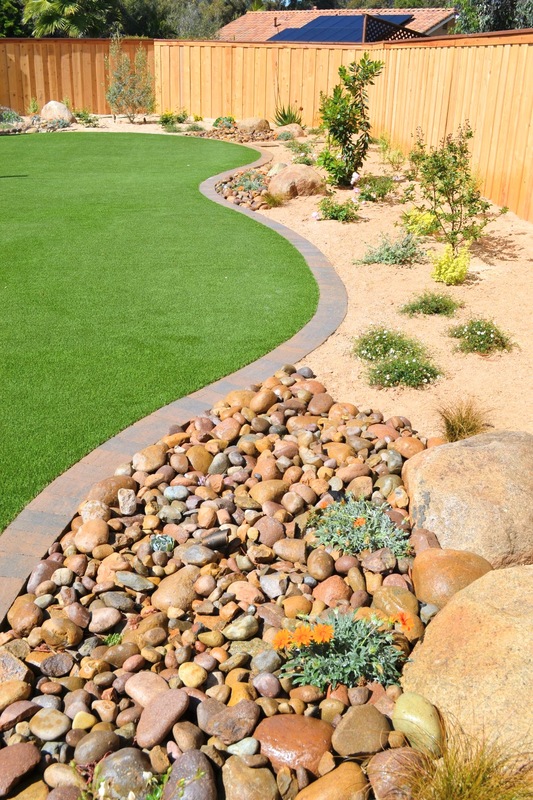 Most people are under the assumption that artificial turf is low maintenance landscaping. Unfortunately, this is not accurate. Low maintenance landscaping is actually landscaping that doesn’t require weekly or bi-weekly continual maintenance. It generally consists of slower growing plants that don’t require regular trimming, which also typically have low water requirements, and by extension fewer fertilizer requirements. But low water requirements do not equate to low maintenance. This can be confusing because most low maintenance landscape typically is low water consumption, but not vice versa. To give you perspective, the typical home landscaping requires weekly to bi-weekly maintenance in the form of trimming and fertilization. Click here to read more. When considering which plants to use in your garden or landscaping, it important to consider water consumption, especially when you live in Southern California. Here are a few simple suggestions on how to conserve water in your garden or landscaping. 1. Use Plant Specific Drip Irrigation– This technique is different than standard drip irrigation. Standard drip irrigation emits that same volume of water to all your plants. While plant-specific irrigation emits a specific volume of water based on the plant’s specific needs. For example, fruit trees such as an orange tree will need 8 gallons per hour… Click here to read more. “Congratulations, you have taken the first step in building your new custom home, the research step! The process of designing and building a custom home is both thrilling and life-changing. Unfortunately, it can also be overwhelming and frustrating if the proper research and explanation of expectations is not done beforehand. The team at DCarson Construction has created a list of tips to keep in mind before building a house, to provide a successful enjoyable experience for you and your loved ones. The goal of these tips is to help ensure your dream home is aligned with the actuality of the custom home building process. With over thirty years of experience here is a list of the most common pitfalls that first-time home builders experience, and how to steer clear of them.” Click here to read more. Transform the unused space in your backyard. 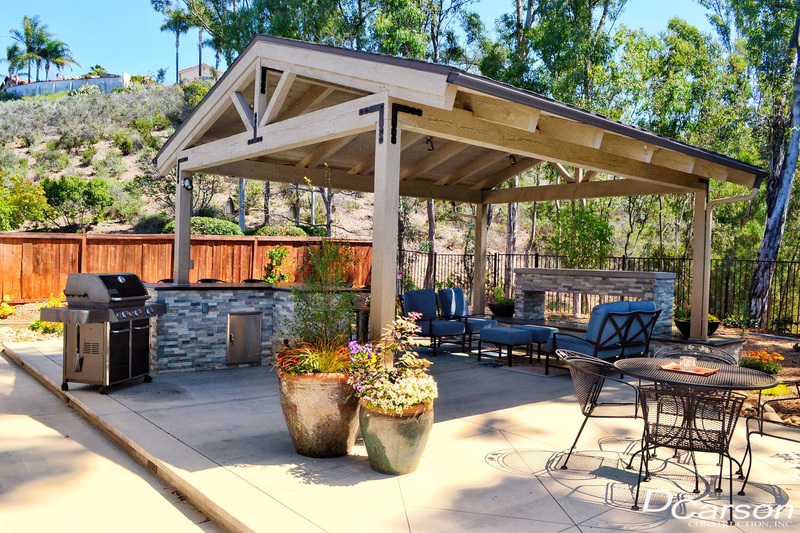 Our Scripps Ranch client’s backyard space had been unimproved for over ten years, and the family was tired of not being able to fully enjoy the beautiful San Diego weather. DCarson Construction transformed the backyard into an outdoor living space the family can enjoy all year long. The client’s main goal for this project was to create an environment that would be conducive for family gatherings and usable twelve months out of the year. Click here to read more.